The word elite gets tossed around a lot by hockey fans and members of the media. It seems to be one of those terms that is easy to use to qualify a player’s talent level when discussing career potential or, more often, their trade value. But is there a way to draw the line on elite players? Is there a specific number that represents the cut off between elite and very good players? Or perhaps the term is so arbitrary that it is nothing more than an adjective that provides a simple way to quantify certain players. 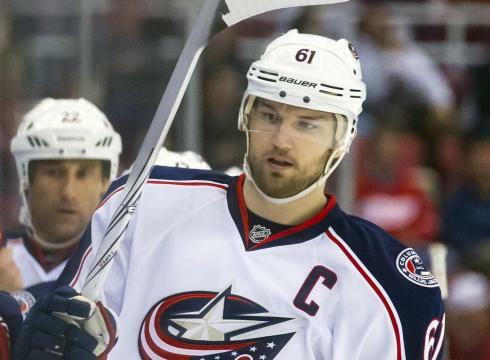 Is Rick Nash elite? Prove it. What is interesting about determining “elite” players is that the qualifications seem to change every season. Not to mention the fact that those who fall into the “elite” category change on a regular basis. There is a group of players at every position in the NHL who deserve to be called elite, or superstars. However, with this term being used so loosely, I wonder if the opinion of elite status is a bit skewed. There is no doubt that players like Shea Weber, Sidney Crosby and Henrik Lundqvist are elite. Whether you’re talking centers, defensemen, wings or goaltenders, there is a magic number of true elite players and those who fall into other categories. It is my opinion that this is not only a sliding scale on a yearly basis but based on position as well. Perhaps the league’s elite goaltenders fall somewhere in the 7-10 range, whereas an elite defensemen could potentially be found anywhere from the 15-20 range depending on how the players were ordered and, of course, depending on who is doing the ranking. The issue is that there is no way to truly draw a line between “elite” and “not elite”. The gray area leaves room for debate (which is fun) but also makes the term rather arbitrary. So, if an elite player is only one that falls within the top-ten of their position, who is to say that players 11, 12 or 13 aren’t worthy of the same distinction? If a bar’s capacity is supposed to be 80, but there are 81 people there, are you going to notice? Regardless of where the line is drawn for an elite player, there will be some on either side of the line that can be debated. To keep things local, let us use Thomas Vanek as an example. He is certainly one of the league’s better forwards and is likely one of the most talented left wingers in the NHL. Does that mean he is elite? It is particularly difficult to call him elite in Buffalo since elite only applies if you’re the best player to ever grace the game of hockey at your specific position. Vanek would easily fall into the top-ten or fifteen left wingers in the game – just as Ryan Getzlaf would fall into the top-ten or fifteen centers. Anywhere in the neighborhood of 15 makes elite status nearly impossible to swing, but it could put a player in the conversation. The reason is two-fold. First off, season-to-season contributions often determine how players are evaluated in such a conversation rather than long-term returns. Just like the Maxim Hot 100, an average talent can skyrocket in the rankings thanks to a superb performance in a particular calendar year. Secondly, an individual player’s value to one team may eclipse his value on another team or as compared to players you’re comparing him to. What should also be remembered is that statistics alone cannot determine if a player is elite or not. While important, if you just look at stats as you’re only barometer for effectiveness, you’re missing far too much. For example, Tomas Fleischmann and Scott Hartnell both finished with more points than Rick Nash this season but there is no way that Nash would be snubbed as an “elite” player for either Hartnell or Fleischmann. While there is no doubt that Rick Nash ranks among the league’s elite skaters, let alone left wingers, Thomas Vanek represents a much tougher case who likely falls outside of “elite” status when the cards are on the table. Hartnell, however, is another example of someone who probably is considered elite by some despite his inability to, you know, skate. When he was little more than a few years ago, Hartnell was just an effective piece of the puzzle. Suddenly he is a 37-goal All-Star who draws a lot more attention than the guy who could barely skate. Of course, Hartnell’s role and contributions in Philadelphia are far different than what players like Nash or Vanek provide to their teams. But in terms of raw talent, Vanek and Nash surpass Hartnell. Hartnell is basically the equivalent of putting Rihanna above Kate Upton, Miranda Kerr and Eva Mendes on the Hot 100. Sure, she is good looking, but she isn’t better looking than those three. Perhaps Hartnell’s career trajectory will continue to rise and he will turn into a truly formidable power forward. However, I still wouldn’t consider him to be one of the league’s elite wingers. I don’t consider Vanek to fall into elite status either, for what it’s worth. The same goes for a lot of players, not just Hartnell. Realizing the difference is what is important. Tossing around the elite term is awfully tricky, especially when there is so much turnover with regard to the NHL’s top performers. Maybe Bobby Ryan could be considered an elite prize this summer, but he might just be a great option when 2013’s loaded free agent class becomes available. Sure there are elite players in the NHL, there just might not be as many as you think. Previous Article Ryan Miller is a what now? The major difference, as shown by Eric, was that the elite players like Claude Giroux and Jaromir Jagr would gain the zone with puck possession rather than dumping it in often. There isn’t a number available to use to show a player’s success at doing this, since certain lines and teams are coached differently.